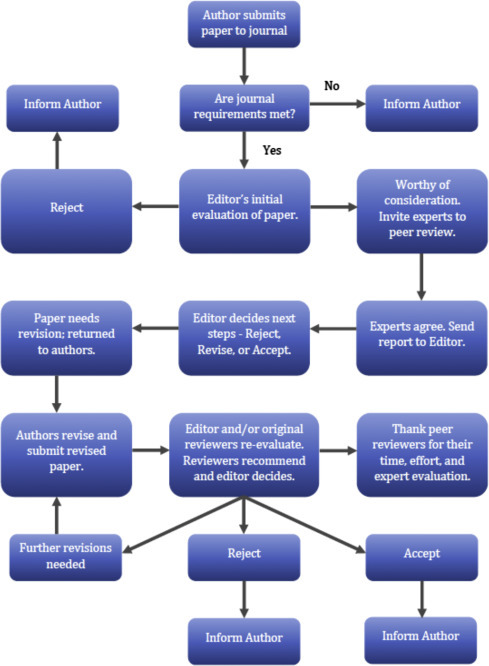 Peer review is the system used to assess the quality of a manuscript before it is published. Independent researchers in the relevant research area assess submitted manuscripts for originality, validity and significance to help Editors determine whether the manuscript should be published in their journal. Acceptance of paper is always conditional on delivering a manuscript that satisfies the Journal of Allied Health Sciencesl style and reproducibility requirements. It is the responsibility of the author to make sure the manuscript conforms to the Journal of Allied Health Sciences requirements. Accepted manuscripts that do not satisfy these requirements cannot be published.